Our last open apiary meeting of the summer. Assessing the hives for winter… queenright, healthy, well-fed? Thanks to everybody who has supported the apiary meetings this summer, and many thanks to the team of instructors. Apiguard—Please order from Chris Clarke for collection at the meeting. Spaces available, please spread the word. More details here. Spaces available, please spread the word. Our 22nd Honey Fair. 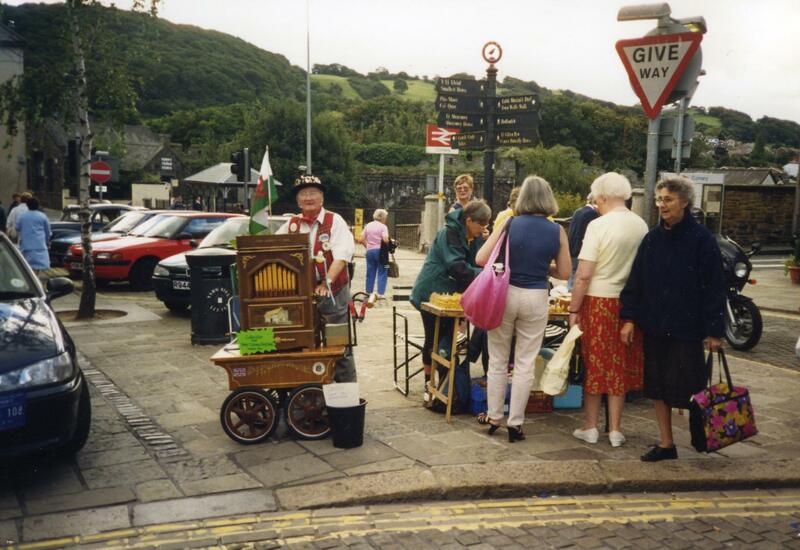 See the fairs page for stallholders info and the history of the event. We need one more marshall to help control the traffic barrier please, from 2pm to 4pm. We suggest a basic price of £5 per 454g jar of honey. Other sizes at your own price. Please let the association secretary know if you wish to sell honey. We cannot accommodate sellers who just turn up without booking. Dolgarrog Aluminium Company archives on display at the Rowen Young Farmers Club hall, Ffordd Rowen, Ty’n y Groes, 6pm to 8pm. Free admission.